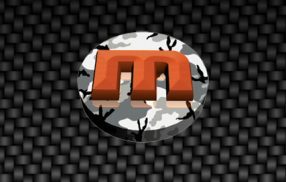 using only the best tools and software. We use the latest treatment technology to rid carbon from the inside of the engine. When it comes to our car diagnostic services, we use top level equipment to either put out simple dash lights or perform in-depth car diagnostics. Clean automatic gearboxes and restore their optimal operation. 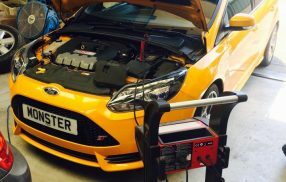 C R Allen Tuning are car diagnostics specialists who specialise in car performance upgrades and a range of other services. We are a MOT & tyre centre and bring the utmost attention to each and every one of our clients. 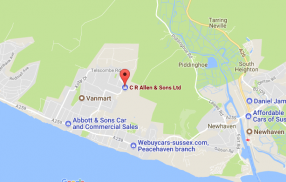 C R Allen & Sons is also an Independent VW specialist, Land Rover and 4X4 specialist company. We are among the finest car garages in Sussex. Get £50 + VAT with fault print off. We use the latest in main dealer level equipment. C R Allen Tuning’s vehicle technicians are fully trained, polite and always happy to help with any questions or problems. As car diagnostics specialists we use the latest tools and technology to ensure that your vehicle gets the absolute best car performance upgrades. C R Allen Tuning have years of knowledge of car diagnostics and car performance upgrades so you can be assured your vehicle is in safe hands. We have been remapping vehicles since 2001. We use a broad range of specialist diagnostic tools from main dealer level equipment, to specialist Bosch & Delphi tools. 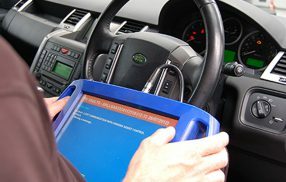 Diagnostics is £50.00 + VAT with fault code printout. Book an appointment to remap your car from experts in ECU remapping in Sussex. Bespoke Elite seats for the project Ultimate Defender!